A fresh hearty autumnal soup, studded with pretty red aduki beans and with just a hint of fragrant five spice. I love the salty chewy sesame shiitakes that “adorn” the soup and pull all the flavors together. Prepping the squash may be a hassle, but after that it is nice and fast to prepare, too. Tips: Acorn squash is a pain in the tuchus to peel. The best way I’ve found is to cut them in half and seed them then cut them into slices (3/4 inch in this case). Use a paring knife to slice off the skin then cut as per the recipe. To remove the seeds from the pear, peel and slice in half, then use a measuring teaspoon to scoop them right out. Preheat a large stock pot over medium heat. Add the oil and sauté the onions and peppers for about 10 minutes, or until onions just begin to brown. Add the ginger and garlic and sauté a minute more. Add the salt, Chinese five spice, acorn squash and pear and cook for another minute, stirring often. Add the vegetable broth. Cover and bring to a boil. Once boiling, lower the heat just a bit to simmer briskly for about 20 more minutes, or until the squash is tender. Puree half the soup using either an immersion blender or by transferring half the soup to a food processor or blender and then back into the rest of the soup (don’t forget to let the soup cool a bit so that the steam does not compress in the processor and kill you). Add the aduki beans and lime. Cover and simmer on low, just until the beans are heated through. Meanwhile prepare the mushrooms. Preheat a heavy bottomed skillet over medium high heat. Add the oils and sauté the mushrooms for about 7 minutes, until they are soft. Add the soy sauce and stir constantly until the soy sauce is absorbed (about 1 minute). 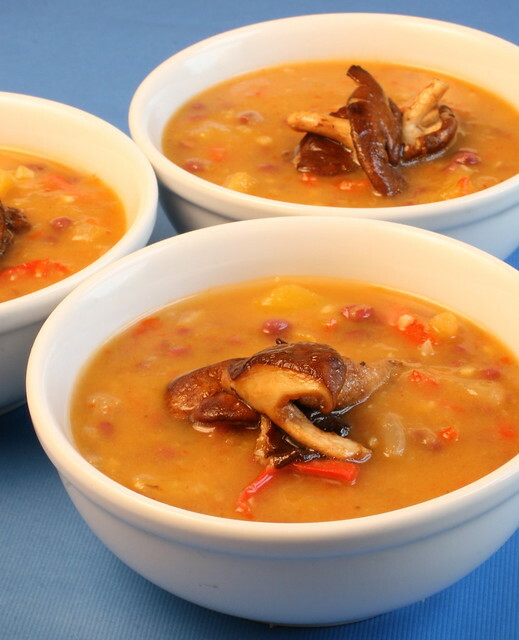 Ladle soup into bowls and top with sautéed mushrooms. Chinese Five Spice Vegetable and Noodle Stir Fry « the taste space – steam, bake, boil, shake! I had a couple CSA acorn squashes to use up and thought this looked interesting. Turned out delicious! The mushrooms really make the dish. So much so that next time I’m going to double or triple the amount I make to go with the soup. Adzuki, azuki and aduki are all acceptable. The correct pronunciation is ‘adzuki’, the correct Roman alphabet conversion is ‘azuki’. Not sure where ‘aduki’ comes from. This was a good recipe to use with leftover ingredients…I had some broth and lime juice leftover for a Nicaraguan dish I made with my friend. I didn’t have an immersion blender, so I think I blended the soup when it was too hot — oops. 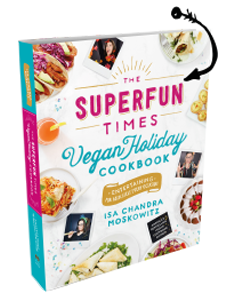 🙂 I’ve been enjoying exploring vegan cooking, though I get really bored with it sometimes, it’s alright…I’m dedicated to learn to be a better cook. You will be glad to find out the best site for setting clock in windows 10 and can also update your time zone. Wonderful! This is a very tasty and nutritious soup! My favorite recipe on your site. It is a pity that now I can not devote time to culinary, as it is necessary to prepare the chicago essay format to the university. I hope soon the problems with the university will end, and I will be able to return to my hobby – cooking.